Bridger Steel's 7.2 Structural Box Rib Panel System combines industrial aesthetic with heavy-duty structural integrity. Use as roofing or siding to compliment any project. Home owners and designers will love this modern design as a vertical or horizontal wall panel. It has also been used effectively as wainscoting or interior accent. This commerical building uses a 7.2 Structural siding in Vintage with Weathering Steel, flat panel accents. This office space uses 7.2 Structural Box Rib Siding. Roofing applications require a bead mastic on the overlap. 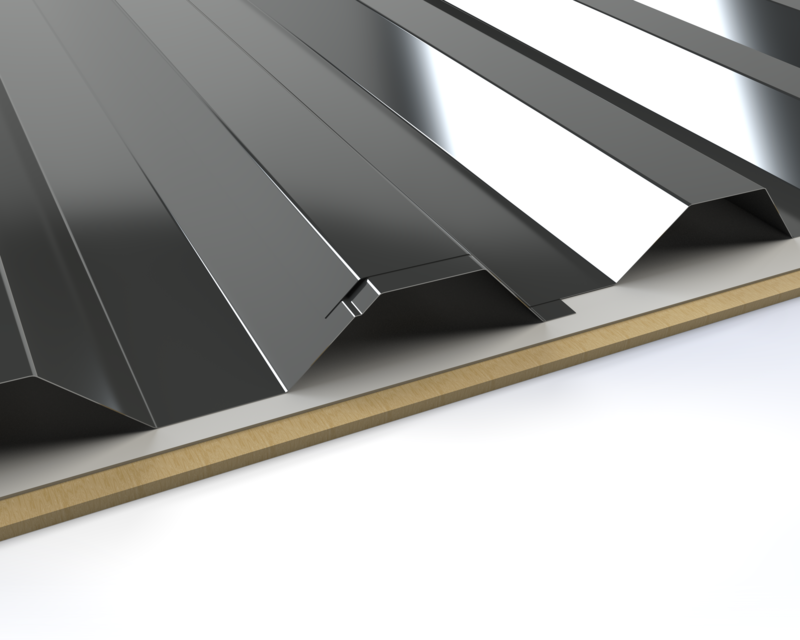 Can be installed over open purlin or solid substrate. Anti-Siphon Groove: In order to help prevent water from penetrating the overlap, the anti-siphon groove creates an internal air gap at the panel overlap.